There are already tentative plans to develop the proposed waterway for a variety of uses. Predominantly Saudi and Emirati private investors are hoping to transform the area into an important economic zone, with the construction of marinas and resorts to build up tourism and two sea ports to divert marine traffic away from Qatar. The project, dubbed the Salwa Channel, gained traction last month with the invitation of five construction companies to compete for the enticing contract, reportedly amounting to $745 million. The successful bid will be announced within three months and the chosen company is expected to complete construction within a year. Thomas Lippman, a Gulf expert at the Washington-based Middle East Institute, a think tank, told Al-Ahram Weekly that he thought it unlikely that a canal would be constructed because Saudi Arabia had little to gain from it. Not only was there no need for a new maritime passage, he said, but it would also have no impact on Saudi security as the border with Qatar was already closed. 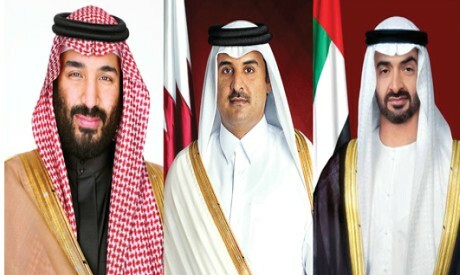 Central to its perseverence has been Qatar’s continued strong ties with the West. The country’s elites have been able through their extensive foreign financial investments and significant spending on public relations to maintain an influential political presence in the US and Western Europe.